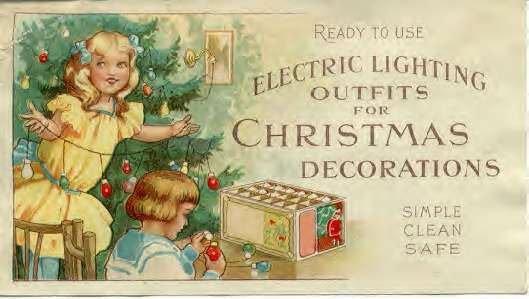 The General Electric Christmas lighting outfit, the first set offered for sale to the public. Circa 1903-1904. Before electric Christmas lights, families would use candles to light up their Christmas trees. This practice was often dangerous and led to many home fires. Edward H. Johnson put the very first string of electric Christmas tree lights together in 1882. Johnson, Edison’s friend and partner in the Edison’s Illumination Company, hand-wired 80 red, white and blue light bulbs and wound them around his Christmas tree. Not only was the tree illuminated with electricity, it also revolved. During the Christmas season of 1880, strands of lights were strung around the outside of Edison’s Menlo Park Laboratory. Railroad passengers traveling by got their first look at an electrical light display. General Electric was the first company to offer pre-wired Christmas light strings. Prior to this, lights had to be hand wired on the tree. GE was unable to patent their string (or festoon), and suddenly the market was open to anyone who wanted to manufacture the strings. In 1895, U.S. President Grover Cleveland proudly sponsored the first electrically lit Christmas tree in the White House. In 1901, The first commercially produced Christmas tree lamps were manufactured in strings of nine sockets by the Edison General Electric Co. of Harrison, New Jersey. It was a common but incorrect belief in the early days of electric Christmas lighting that Christmas light bulbs would burn longer in an upright position. Early decorators spent a lot of time making sure that the lamps were positioned upright on the tree. Many of the earliest figural light bulbs representing fruit, flowers and holiday figures were blown in molds that were also used to make small glass ornaments. These figural lights were painted by toy makers. Many of the earliest Christmas lights burned so hot that they were about as dangerous as the candles they were advertised to replace. Ink Blotter advertising General Electric's new pre-wired sets of Christmas lights. The artwork is a direct copy of General Electric's cover art for their 1904 booklet advertising their first set of Christmas lights. 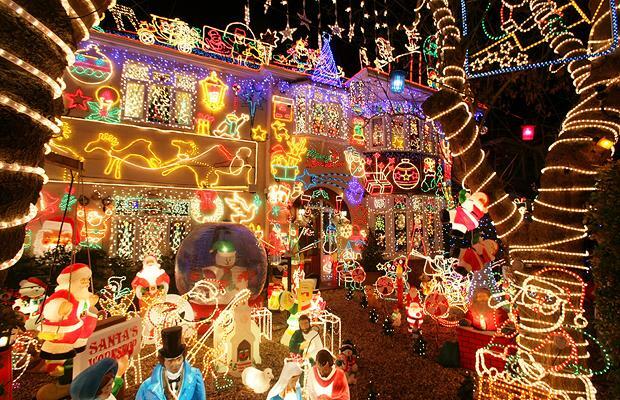 Early in their history, Christmas lights were so expensive that they were more commonly rented than sold. An electrically lighted tree was a status symbol in the early 1900s. Until 1903, when General Electric began to offer pre-assembled kits of Christmas lights, stringed lights were reserved for the wealthy and electrically savvy. The wiring of electric lights was very expensive and required the hiring of the services of a wireman, our modern-day electrician. According to some, to light an average Christmas tree with electric lights before 1903 would have cost $2000.00 in today’s dollars. Albert Sadacca saw a future in selling electric Christmas lights. The Sadacca family owned a novelty lighting company and in 1917 Albert, a teenager at the time, suggested that its store offer brightly colored strands of Christmas lights to the public. Christmas lights were first advertised in the Ladies Home Journal. True outdoor Christmas lights were not introduced to the public until 1927-1928, almost 45 years after the first electric tree lights were demonstrated. There were sets offered for sale as safe to use outside before 1927, but they were small, dangerous and extremely impractical for the average family. 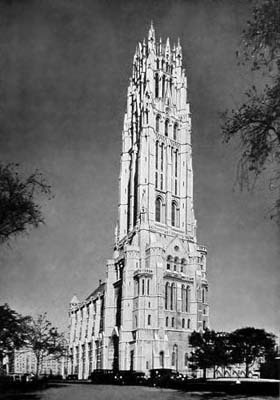 By the 1920’s Albert Sadacca and his brothers organized the National Outfit Manufacturers Association (NOMA), a trade association. NOMA soon became NOMA Electric Co., with its members cornering the Christmas light market until the 1960’s. President Coolidge at the lighting of the first National Christmas Tree on December 24, 1923. On Christmas Eve 1923, President Calvin Coolidge began the country’s celebration of Christmas by lighting the National Christmas Tree with 3,000 electric lights on the Ellipse located south of the White House. Montgomery Wards inadvertently gave the American public two well known Christmas treasures: the bubble light and Rudolph, The Red Nosed Reindeer. The original story of Rudolph, a bit different than the one we know today, first appeared in a children’s giveaway booklet in 1939. 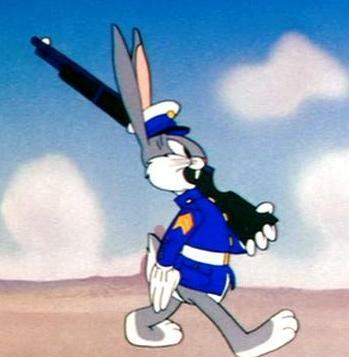 The character became a runaway hit. Also, Carl Otis, the inventor of the bubble light, worked as an accountant for the company. Wards did not sponsor Carl’s invention, and he eventually sold it to NOMA. It became the biggest selling Christmas light in history up to that time. Electrically lit trees did not become “universal” in the United States until after World War II. It is interesting to note that while Christmas is a uniquely Christian holiday, most of the major Christmas lighting companies were owned and operated by people of the Jewish faith. Juke is an African word meaning “to make wicked mischief” and came directly from American slaves. Juke had an exotic and forbidden appeal, which inspired the name “jukebox”. Coin-operated music boxes and player pianos were the first forms of automated coin-operated musical devices. The first coin-operated phonographs were introduced in the 1890s when recording on wax cylinder records made it possible for them to survive many plays. Frequently exhibitors would equip many of these machines with listening tubes (acoustic headphones) and array them in “phonograph parlors” allowing the patron to select between multiple records, each played on its own machine. Though the technology had existed since 1918, when Hobart C. Niblack of Rochester, NY patented an apparatus that automatically changed records, one of the first successful selective jukeboxes was an automatic phonograph produced in 1927 by the Automated Musical Instrument Company, later known as AMI. In 1928, Justus P. Seeburg, who manufactured player pianos, created an electrostatic loudspeaker combined with a record player that was coin operated and gave the listener a choice of eight records. Shellac 78 rpm records dominated jukeboxes until the Seeburg Corporation introduced an all 45 rpm vinyl record jukebox in 1950. Stereo sound became popular in the early 1960s, and wallboxes (jukeboxes on a wall) of the era were designed with built-in speakers to provide patrons a sample of this latest technology. Interestingly, for the next several years, there were very few stereo 45 rpm records made; the “little LP” (also referred to as “stereo 7”) was designed and manufactured specifically for jukeboxes. It played at 33 1/3 rpm and was the same physical size as the 45 rpm records, to retain compatibility with the jukebox mechanisms. 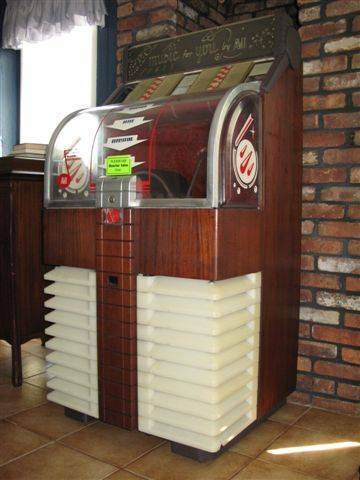 Some jukeboxes during the 1960s were able to play other special 33 discs of 45 size, which provide a longer song or multiple songs, for a higher price. These specialty records (known as EPs, for “extended play”) were provided by the unique vendor that supplied records to the operator. Starting in the 1980s, compact discs became the norm for modern jukeboxes. Towards the end of the 20th century several companies started introducing completely digital jukeboxes which did not use physical recordings. The music selection and playback system was replaced by a dedicated proprietary computer.